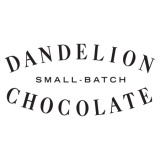 Dandelion Chocolate is a San Francisco based bean-to-bar maker, founded by Cameron Ring and Todd Masonis, founders of social network Plaxo. "We opened our workshop out of a lifetime love of chocolate. Our friends often said that given enough time, it seemed inevitable that one of us would open a chocolate factory. They watched as we experimented with growing small cacao plants in our apartments, pan roasted beans in the oven, and ate our way through the many of the chocolate shops of the world. In early 2010, we decided to share our craft chocolate with our friends and family and have expanded since. Currently, in our factory in the Mission district of San Francisco, we roast, crack, sort, winnow, grind, conch, and temper small batches of beans and then mold and package each bar by hand. By sourcing high quality beans and carefully crafting tiny batches, we try to bring out the individual flavors and nuances of each bean."